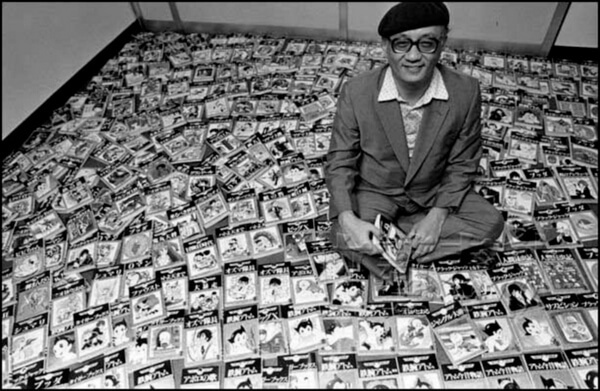 For manga-anime fans, Osamu Tezuka is like a “god of manga” since he played an extremely important role in innovating the manga industry as we see nowadays. Any anime adaptation of his work will definitely attract tons of audience and this time, we see the return of the legendary series: Dororo. Those who have read the original manga will have to agree that this is one incredible series. 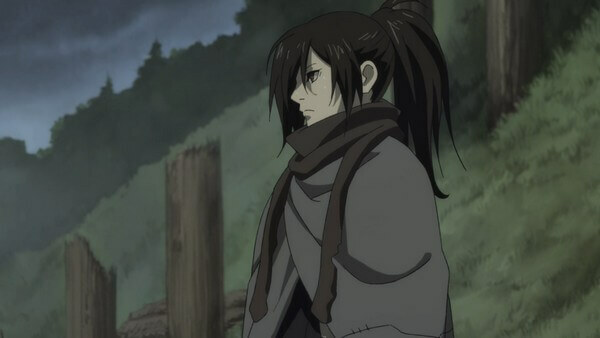 And so only one question remains: “does this anime adaptation keep up with fans’ expectation?” Let’s find out in this Dororo first impression! 2. Dororo First Impression: The Legend Reborns! Before we go into the details of Dororo series, it should be a good idea to learn about its author first: Osamu Tezuka. To this point, Osamu Tezuka is probably an all-too familiar name to manga fans, especially for manga-readers back in 80s-90s. As mentioned, he played an extremely important role in forming the manga industry as we see nowadays. In fact, many manga-drawing techniques originally came from him and they are still being used even to this day. Not only that, the amount of his works is extremely insane with a total of over 700 series over the course of his life. 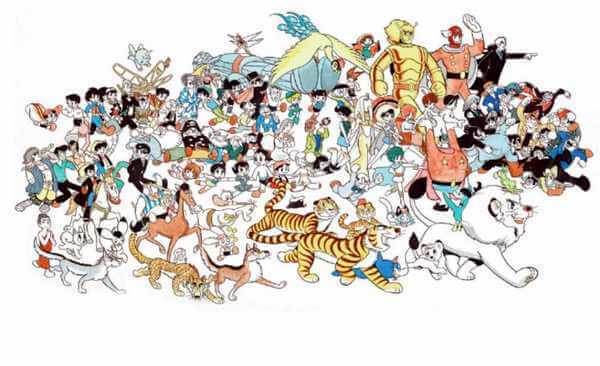 In many cases, people often remember Tezuka with many bright-tone series like Astro Boy or Kimba the White Lion. However, fans of Tezuka’s works will know that he actually has written lots of series with various tones and themes, including the darker one. One good example for his darker-theme work would be Black Jack which tells a story about a young unlicensed doctor named Black Jack who has quite a… disturbing history. And of course, Dororo – the manga/anime series we about to discuss – is also one such darker-theme series. 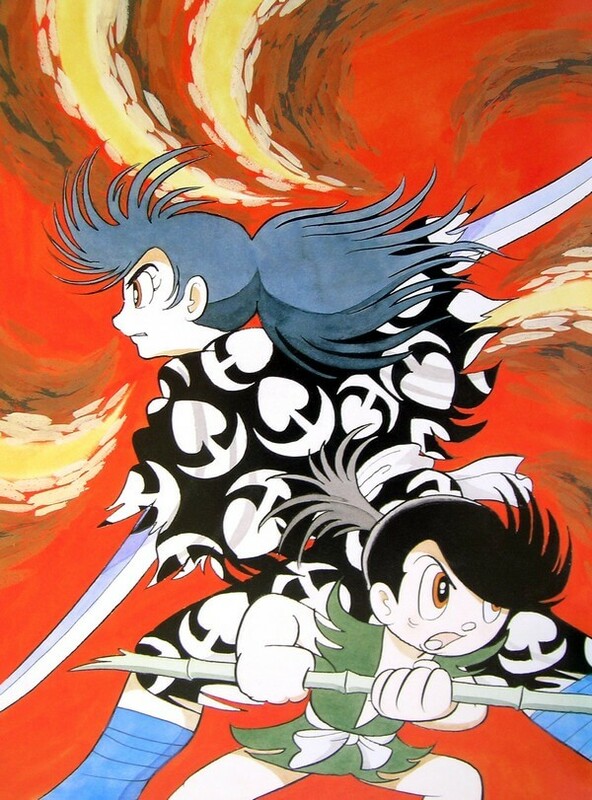 Dororo is originally a manga series written back in late 1960s. Then in 1969, it actually has the first anime adaptation with 26 episodes in total. In 2007, it also has a live-action movie adaptation, which was received quite positively in general. And now in 2019, younger generations have opportunity to enjoy this series in a brand new anime adaptation made by MAPPA and Tezuka Productions studio, starting on January 7, 2019. Based on the manga version, Dororo takes place in Sengoku Period when a daimyo named Daigo Kagemitsu agreed to form a pact with 48 sealed demons so that he could rule the entire country. But in return, the price was his newborn child who became malformed as his body parts were stolen by those demons. And so, the demons are now free and they cause havoc across the land, while Hyakkimaru – that very same newborn baby – is now on his path to slay all the demons and ultimately, to face his father. On his way, he meets a young orphan named Dororo who called himself “greatest thief in Japan”. A young ronin and young thief child, what awaits them at the end of the road? Only time will tell. 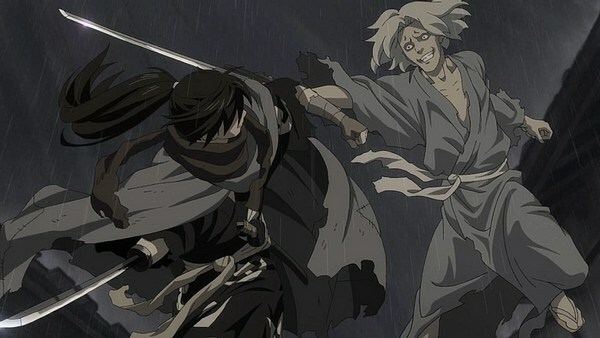 By now you probably have noticed an interesting bit about this story compared to the anime: In the manga, Hyakkimaru has to kill 48 demons; however, in the 2019 Dororo anime, the number of episodes is only 12. In fact, they changed the story from 48-demon setting to the 12-demon setting to fit the 12-episode limitation. To be fair, changing story parts is a common thing in making anime adaptation. Yet, it also causes people to worry whether the anime adaptation will come out as good as expected or not. And luckily, Dororo absolutely nailed it! One thing Tezuka fans can immediately see is the blend between Tezuka’s classic art-style and the modern animation. MAPPA studio has really done a good job in bringing back aesthetic and styling of Tezuka’s classic to the modern world. And this further proves how timeless his work is, making it feels relevant even to this day. Another commendable aspect which MAPPA also did really good is how they stay true to the manga’s dark nature and details, which really set up the overall theme for this story of vengeance. The gray-scale throughout the scenes also put an additional level of uneasiness and loneliness, which is absolutely fitting to this story. The animation is also extremely on point; it is fluid and really exciting to watch, especially during the combat scenes. Sound is another highlight of this anime adaptation, specifically the way they use minimal traditional Japanese instruments, which further amplifies the mysterious and lonely tone. The voice-acting is also excellent which really brings out the emotions for every character. And of course that opening and ending scene which can sound a little bit peculiar at first. But the more we hear it, the more attractive it becomes and it actually feels fitting with this anime. Now if we put Dororo’s overall story in comparison to modern anime and manga, Dororo’s plot may feel kind of simple. But let’s remember that this is a story written back in 1960s and at that time, a dark story like this is not common at all. 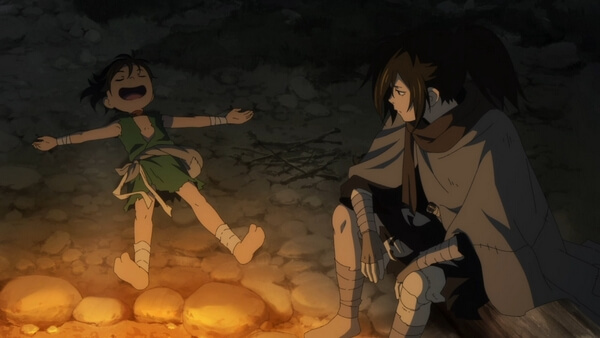 That being said, it does mean that Dororo’s story is pale in this day and age; in fact, it is so compelling thanks to both of its simple structure and fascinating characters. If we have to describe it, Dororo has an intriguing feel to it. Despite the simplistic, we feel like being attracted to the story and we truly want to see what will happen next to the characters. 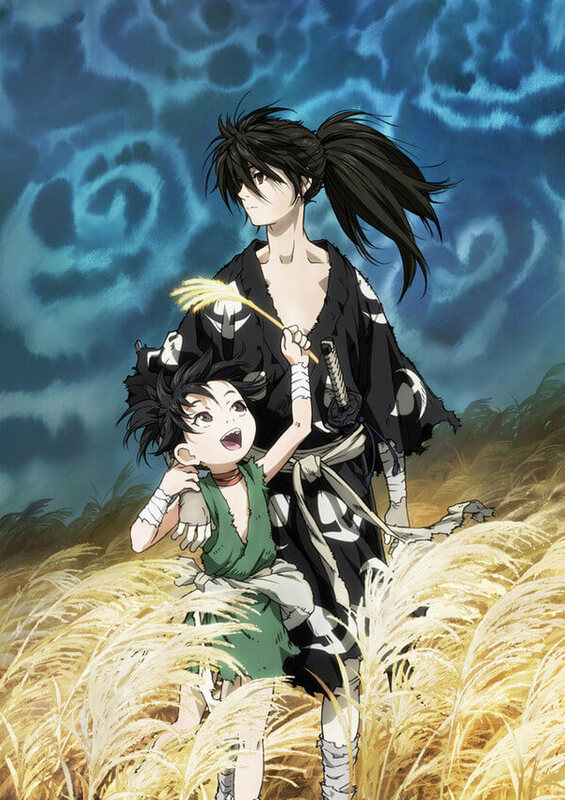 2019 Dororo anime follows the episodic structure, with each episode is about each time Hyakkimaru and Dororo encounter different events and ultimately, encounter a demon. This story structure works well with Dororo since it opens up opportunity for character development. The journey of Hyakkimaru is so fascinating to watch as we see him get involved in different problems. And it is so interesting to see how his humanity develops after each episode and each time he recovers one of his body parts. Dororo on the other hand is a delightful character to see as he puts a balance onto the story. 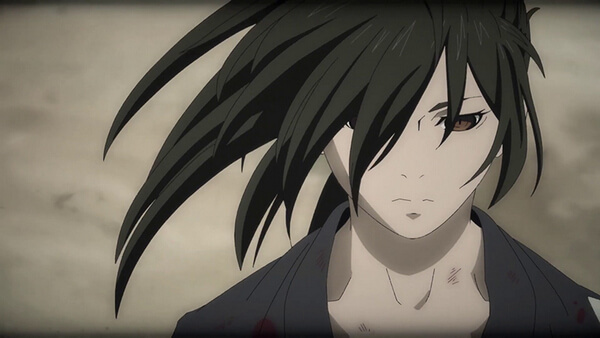 Unlike Hyakkimaru who looks rather grim and serious, Dororo feels more positive and a bit of care-free. 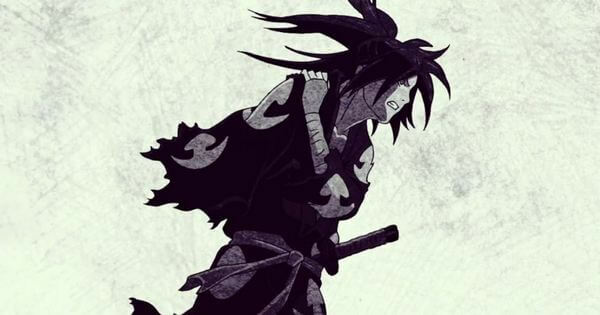 It is Dororo himself who plays a huge support role for Hyakkimaru’s life. Their dynamic is intriguing to watch and they help each other in developing their characters. Since this is a story of “demon hunting”, we should also mention a bit about the demons, which are currently the main foes of the series so far. 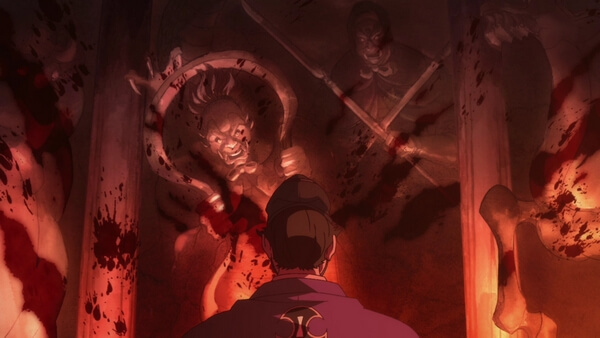 As we have seen, Hyakkimaru’s body parts are missing due to his father’s pact with the demons. Each time he slays a demon, he will recover a body part and eventually, his body should become whole again. Over the course of 4 episodes so far (as of December 31, 2019), we have seen 4 demons, each has unique appearance and backstory, and each has clear reason why it exists at particular place. The battles between Hyakkimaru and the demons so far are enjoyable to watch. Based on the 4 current episodes, we are happy to say that 2019 Dororo anime adaptation is truly an excellent anime this Winter 2019. If they can keep up with this great quality, Dororo can be arguably one of the best anime this year. The only thing which we may consider “downside” of this anime is its fast-pace. However, it is understandable given the course of 12 episodes in which they have to change the story from 48-demon setting to 12-demon setting. And with that, for now the current verdict for Dororo is a 9/10, and we can’t wait to see the next episode. So what about you? What do you think of Dororo so far? Feel free to share with us and for now, thank you and stay tune for more news in the future!